Jan Traylen: Djenne Mosque: A Landscape of Images. 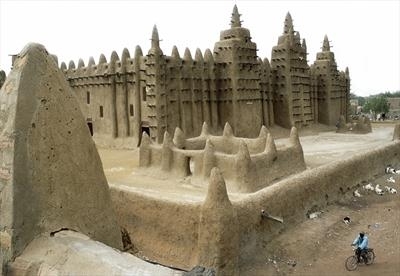 A mud mosque in Djenne, Mali, West Africa. This extraordinary mosque is the largest mud structure in the world. Each year it is recovered in mud by the local people by climbing on the wooden beams left sticking out.